The abbess of Hua Zang Si is Great Dharma Master Ruo Hui. She is a disciple of H.H. Dorje Chang Buddha III. She is deeply and broadly proficient in the sutras, abides by the precepts with pure cultivation, upholds correct views, and possesses high and profound virtue and conduct. Driven by her endowed wisdom and firm aspiration, Great Dharma Master Ruo Hui started learning Buddhism since her childhood. While she was a young person facing a splendid future, the Dharma Master decided without hesitation to abandon worldly life to become a monastic practitioner. She respectfully quested for the practice of Buddhism, studied the sutras deeply, and cherished the goal of benefiting living beings in her cultivation and practice. Additionally, she demonstrated outstanding virtue and talent in her diligent study and research in the academic arena and received a Master’s degree from the Department of Philosophy of Taiwan University. She made a vow to dedicate her life to grandly propagating Buddha-dharma and broadly saving living beings. She served as the dean of the Chien Fo Shan Girl Buddhist College in Taiwan in her early years and have been continuously making contributions to the education of Buddhist monastics. However, the Dharma Master was deeply aware of the widely prevalent chaotic phenomena in the current Buddhist world, such as confusing views, non-unified sects and schools advocating their own tenets, miscellaneous teachings that are complex but incomplete, and promoting false doctrines as authentic Buddhism. Consequently, pious Buddhist disciples are searching and questing in vain and still unable to learn the true dharma of the Tathagata. Their lifetimes are thus wasted! Therefore, the Dharma Master was continuously concerned about this situation day and night and eagerly beseeched to find the genuine lineage from the Buddha that transmits the true teachings of the Tathagata. In 1996, the Dharma Master had the good fortune to listen respectfully to the recorded dharma discourses expounded by H.H. Dorje Chang Buddha III. At that time, she sensed strongly and received the bright manifestation of the supremely and perfectly enlightening Buddha-dharma from His Holiness the Buddha! Later, guided by the karmic affinity to true Buddha-dharma, she fulfilled her wish to become a disciple of H.H. Dorje Chang Buddha III. Since then, she eagerly and respectfully listened to the recorded dharma discourses expounded by His Holiness the Buddha day and night. Through studying deeply with reference to the sutras, she eventually became enlightened by the teaching! She also received a holy inner-tantric initiation from the Buddha Master, which enabled her to personally realize the absolute truth of Buddha-dharma as if seeing the blue sky after pushing the blocking dark clouds aside. Since then, the Dharma Master abided by the teachings to benefit living beings with loving compassion in cultivation and practice. Shortly after that, she was delighted to learn that the Buddha Master was grandly publicizing and propagating the true dharma of the Tathagata in the Western world. After deep thinking and careful pondering, the Dharma Master decided to resign from the duty of the Dean of the Buddhist College to take up the mission to serve living beings. She traveled across the ocean to the United States to follow her Buddha Master, H.H. Dorje Chang Buddha III. She piously and deeply cultivated in the authentic lineage of Buddhism and engaged in the undertaking of propagating the true dharma of the Tathagata to benefit living beings. Through the many years, the Dharma Master received true Buddha-dharma transmitted by H.H. Dorje Chang Buddha III in person and realized the key attainment of the dharma. In the dharma mandala, she manifested deeply cultivated power and superior state of realization. Once, she fortunately attended a grand and magnificent Vajra obstruction-removing dharma assembly. At that time, dharma masters and abbots of many monasteries and rinpoches were present. When stepping forward to receive empowerment, almost all of them were subdued by the power of the Buddha-dharma to show a suffering appearance and unable to support themselves by their power of concentration. Only Great Dharma Master Ruo Hui remained firmly unperturbed and successfully went through the holy power of Samadhi. She handled the situation magnificently and perfectly by calm without even any change in her facial expression. For that, she was praised by H.H. Dorje Chang Buddha III! Additionally, the Dharma Master also received a dharma of state practice transmitted by the Buddha Master in person and attained the accomplishment of crown-opening within two hours. 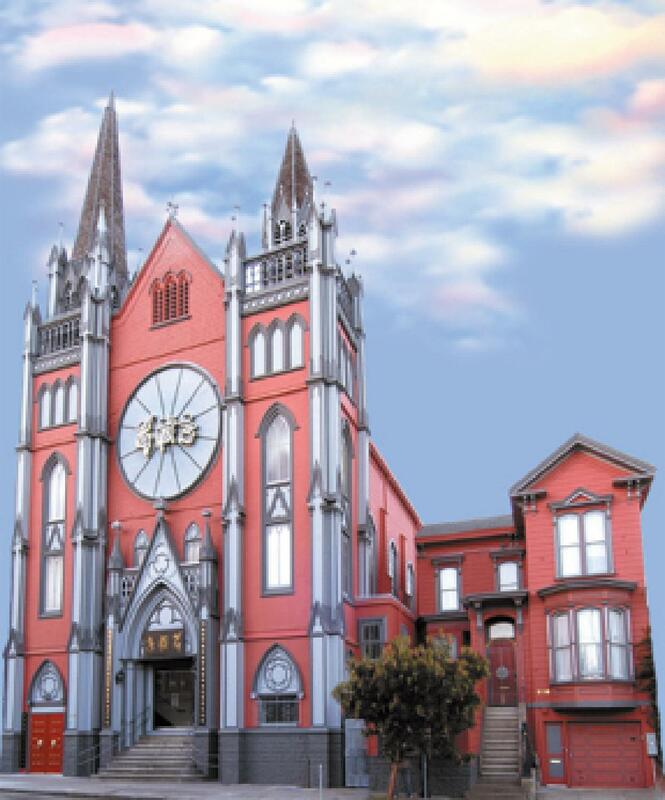 Since the grand opening of Hua Zang Si in December 2004 to now, the Dharma Master has served at the positions of prior (warden), deputy abbess, and abbess at this temple, which is the first temple of true dharma of Buddhism established in the Western world by H.H. Dorje Chang Buddha III. Since the temple’s establishment, her responsibilities cover a wide range of the temple’s dharma affairs and operations including various dharma assemblies, training and education of the monastic personnel, defining the system and rules to manage the temple, and so on. 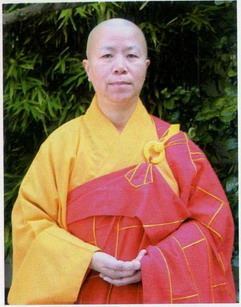 With her abundant and solid knowledge in the theory of Buddhism and the teaching of practicing in silence, experience in managing and operating a temple, as well as deeply cultivated power in meditative concentration, she continuously serves since the beginning as the karma monastic master in awarding the complete set of grand precepts through three dharma assemblies and the professor/teacher of various courses in precepts, rituals, meditation, group practice, education of monastics and others at the Academy of Exoteric Buddhism of Hua Zang Si. She also conducted teaching and training at Buddhist institutions in the United States and overseas. Many of the disciples she taught have now become dharma masters or monastic practitioners. Actually, quite a number of them have even become excellent managerial personnel at some temples in different countries. The Dharma Master always kept a low-key appearance in her cultivation and practice. She applies patience to carry out the important mission. She is humble and modest and never promotes or publicizes herself. She always sets herself as an example to teach Buddhist disciples with her speech and conduct. Upholding the principle of loving compassion, she quietly devotes herself to the undertaking of benefiting and delighting living beings to enlighten herself as well as others. Moreover, she always upholds the principles, rigorously follows the rules, and adheres to the true dharma and teachings from H.H. Dorje Chang Buddha III. She strives for true realization through concrete cultivation to lead the disciples to advance on the path of accomplishment and liberation. Dharma Master Ruo Hui is an accomplished eminent Buddhist monk whom we should follow and learn from. On September 10, 2015, the then abbess of Hua Zang Si Dharma Master Long Hui left Hua Zang Si to serve at her newly appointed position at the Hua Zang Buddhist Institute in Los Angeles. At that time, Great Dharma Master Ruo Hui was officially promoted to serve as the abbess of Hua Zang Si. She is deeply aware of the great importance of her responsibility and dares not lax, since Hua Zang Si is not an ordinary temple and, rather, is a temple of true dharma of Buddhism established in the Western world by H.H. Dorje Chang Buddha III, her Buddha Master! Knowing that it requires an all-out effort from her to execute this important task, she is determined to lead the temple’s monastics and layperson followers to work even harder to build Hua Zang Si into a temple of true dharma of Buddhism that truly abides by and practices the teachings of H.H. Dorje Chang Buddha III and Sakyamuni Buddha to benefit living beings, broadly save sentient beings, and nurture and develop Buddhists with outstanding and excellent talent. In the process of accomplishing this mission, Hua Zang Si will make concrete contributions to the compassion, happiness, peace, and joy of people in America and in the world and to living beings’ perfect good fortune and wisdom, liberation, and accomplishment, and will definitely live up to the high expectations from Buddhas and Bodhisattvas as well as living beings!